Ramallah Sep 16 (IANS) Palestinian President Mahmoud Abbas said on Saturday that he will address the upcoming UN General Assembly on issues causing suffering to Palestinians. 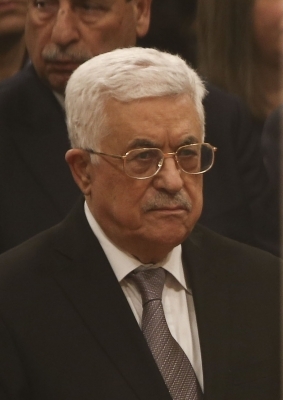 Abbas made the remarks during a meeting he chaired for Palestine Liberation Organization (PLO) Executive Committee at his office in the West Bank city of Ramallah Xinhua reported. "We will go to the United Nations to confront the world with the issues that our people are suffering " said Abbas who is scheduled to deliver a speech at the UN headquarters in New York on September 27. The addressed issues include the Israeli decision to demolish Al-Khan Al-Ahmar Bedouin village east of Jerusalem and the status of Al-Aqsa Mosque in the holy city he added. "We are consulting with our brothers in Jordan to form a unified position to go to the International Criminal Court and the International Court of Justice on what is going on at the Al-Aqsa Mosque " Abbas noted. The Palestinian President said the final decision will be made by the PLO central council after he returned from the UN assembly. The United States and the Palestinians have almost severed ties since US President Donald Trump declared Jerusalem as the capital of Israel on December 6 2017.